In the main grinding room of the Rochester Meat Company in Grand Meadow, Minnesota, where meat grinder Kelvin Lester works, workers roll vats of freshly ground beef from the mixing and grinding machines to the machines that form the hamburger patties. (From the book What I Eat: Around the World in 80 Diets.) 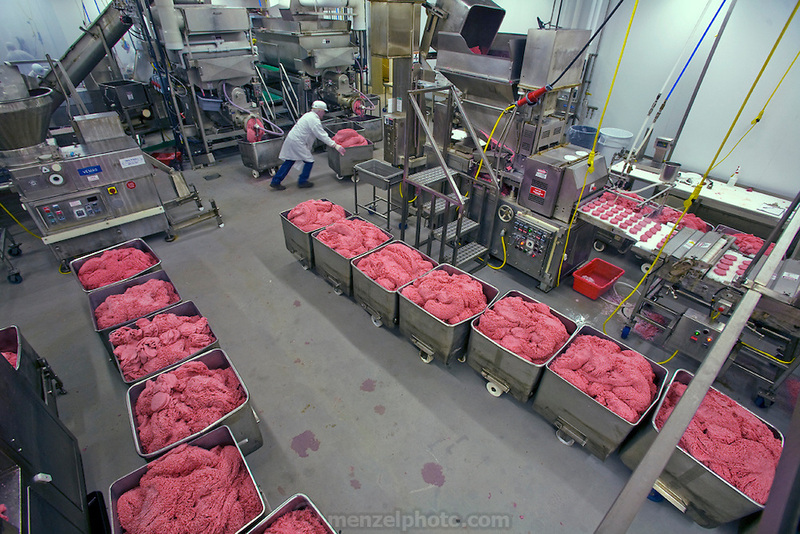 The patties are spit out onto a conveyer belt that goes through spiral flash-freezing tunnels, and then the frozen pink pucks are packed into big boxes for restaurants.